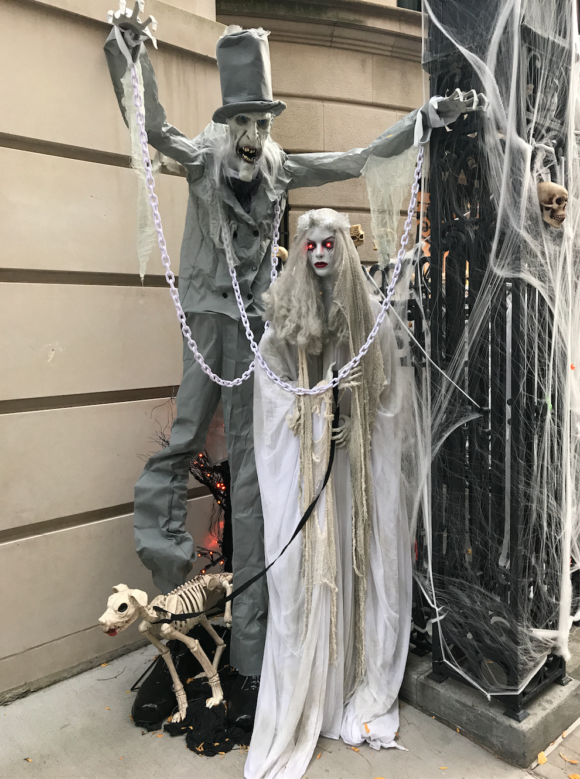 Halloween Upper East Side Style, elaborate tableaux of horror abound. 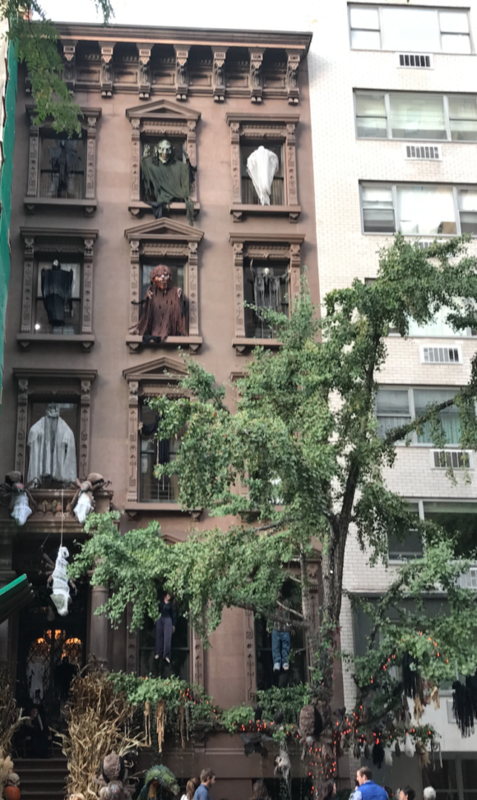 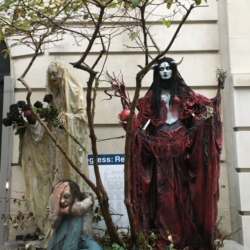 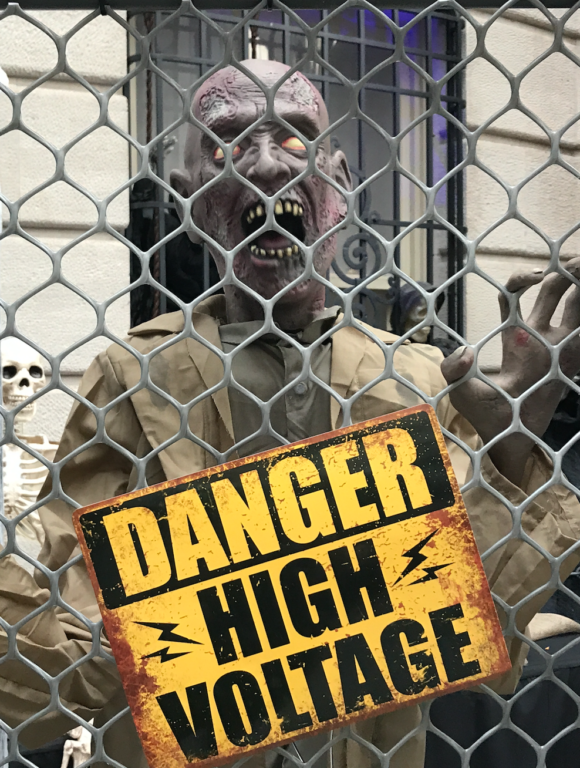 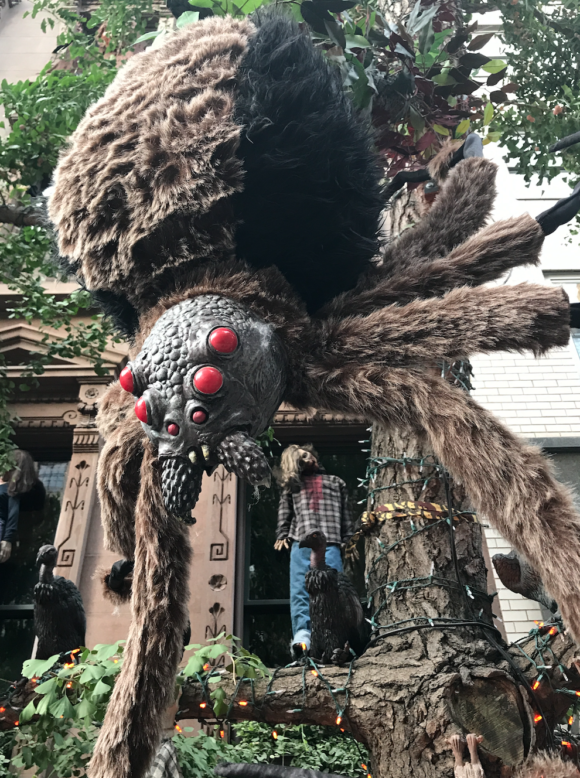 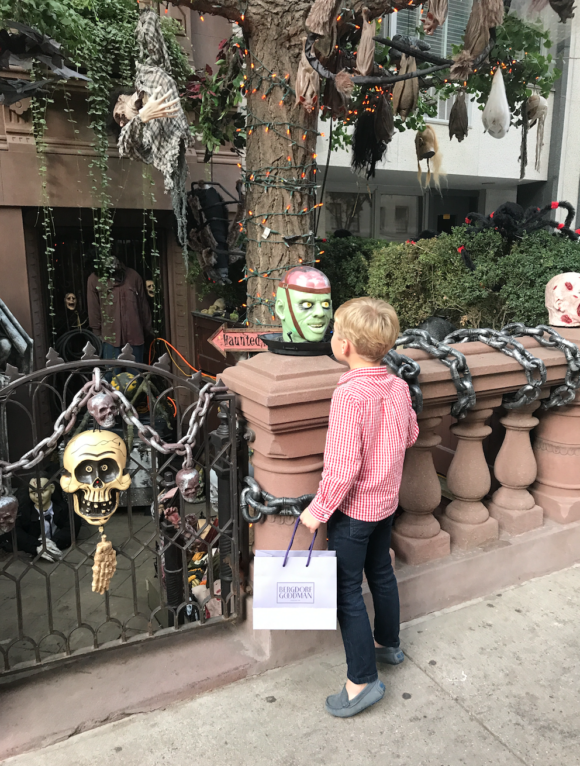 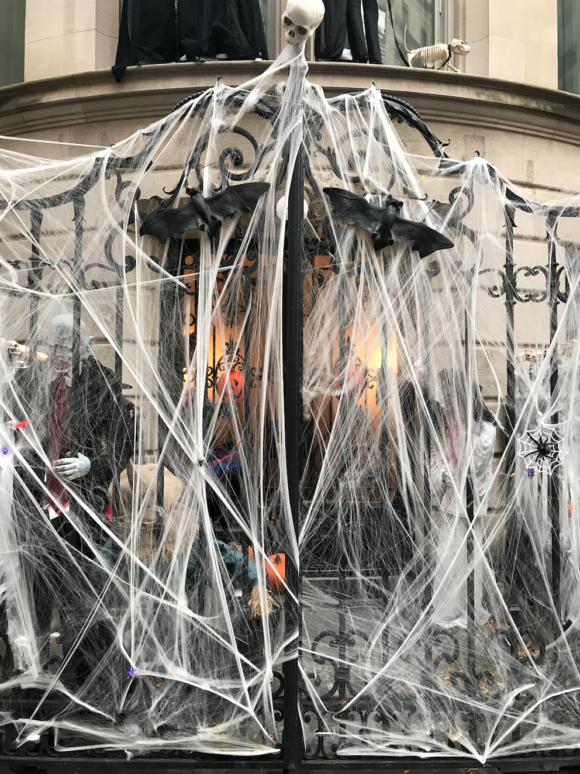 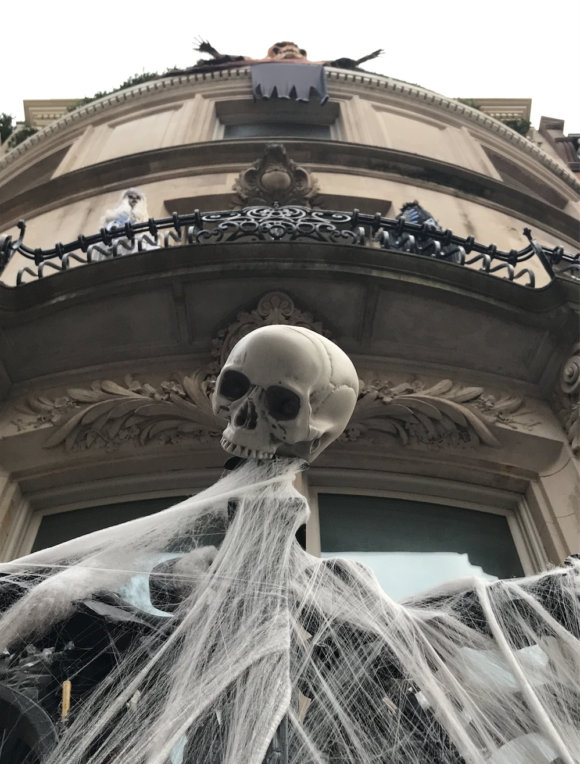 This Halloween season there’s a marked decline in the sheer volume of elaborately staged tableaux of horror gracing the prime real estate of the Upper East Side. 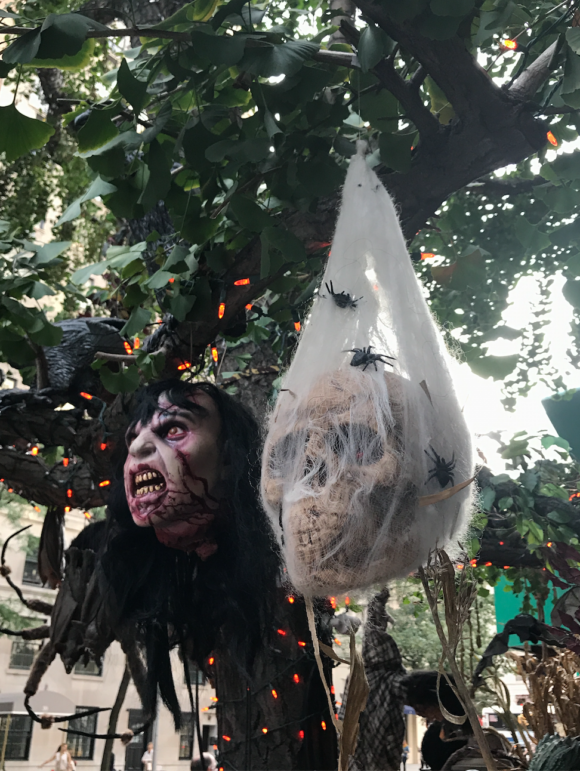 Could it be the forces of evil that command this honor are appeased this year? 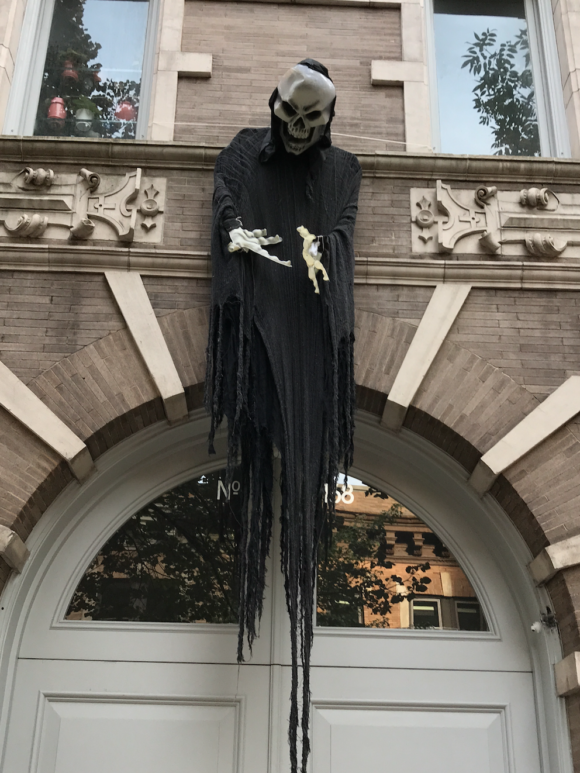 The devil got his due last November so perhaps he’s chill this year with the Halloween decorations. 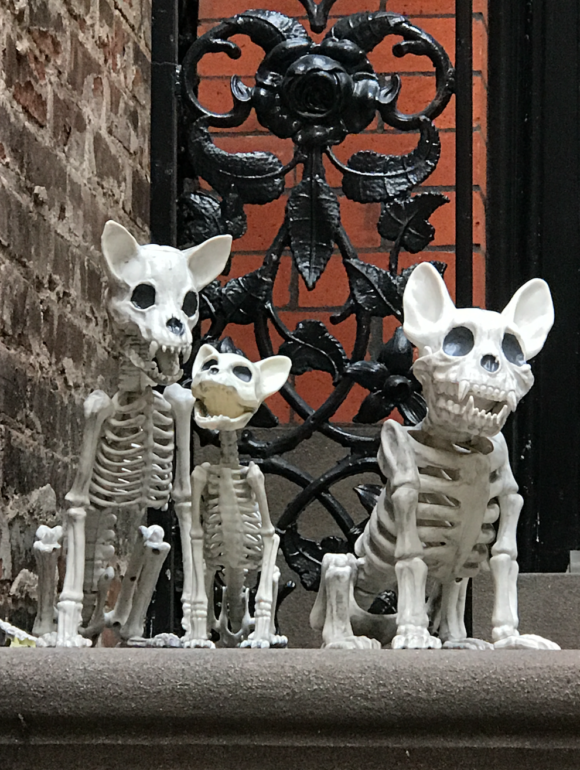 Maybe it’s a sign to get out of the market before the bottom drops out. 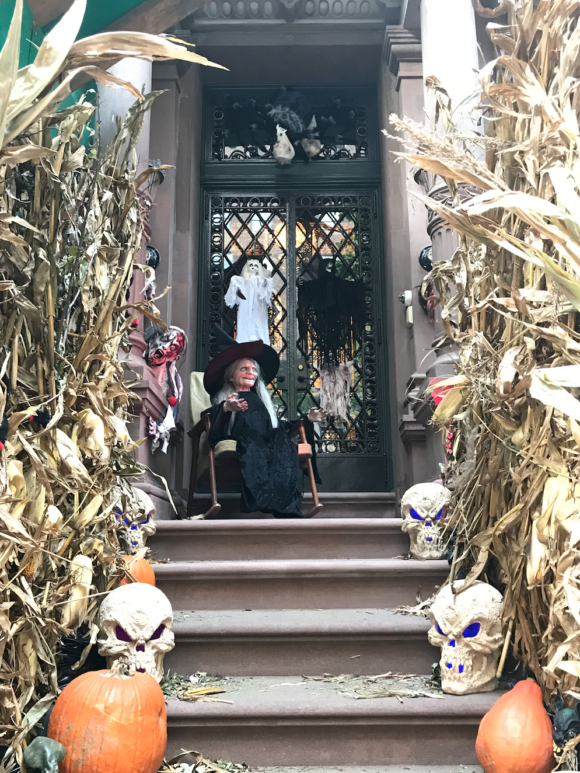 Quite possibly I’m reading too much into it, after all there are still plenty of Halloween spectacles to be had.